While browsing Net galley for historical fiction books, first I skipped "Vindolanda" second time the name of the author Adrian Goldsworthy made me to stop and requested for a copy. 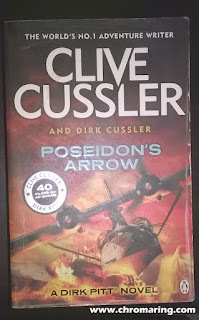 Some of his works include The Complete Roman Army, Caesar: The Life of a Colossus, In the Name of Rome: The Men who won the Roman Empire and Augustus: From Revolutionary to Emperor, which are in my reading list. The author has mentioned in the end of the story that a wooden tablet, a birthday invitation written by Claudia Severa to Sulpicia Lepidina is the inspiration for the novel. I provide the image and the translation of the wooden tablet from vindolanda.csad.ox.ac.uk website. The story takes place in AD 98, Britain under the rule of Rome. The place Vindolanda, modern name Chesterholm. Vindex, a noble warrior of the Carvetti and the leader of their scouts informs Titus Flavius Ferox, centurio regionarius, seconded from Legio II Augusta (Prince of Silures) about the warring tribes plundering forts. Ferox with a small army reaches in time and saves a woman named Sulpicia Lepidina wife of Prefect Flavius Cerialis the new commander of the Ninth Batavians. Subsequently they safely takes her to Cerialis and Tribune Crispinus. Though the attack appears to be a cattle raid by the tribes Ferox had doubts. Tribune Crispinus and Ferox undertakes journey to meet the tribes and get their goodwill and support for their new emperor Trajan. Most of the tribes showed their loyalty but Ferox was not sure about Tincommius – Land of the High King who is an intelligent leader. During the feast arranged by Tincommius one priest Stallion attends lately and criticizes the Romans. With rage Stallion tries to kill the Romans and Tincommius interferes. Ferox and Vindex leave early and reaches Vindolanda and comes to know that Stallion and his men have kidnapped and killed a lady who they taught of royal birth. While Tribune and their army reaches Vindolanda the rebel tribes under Stallion's speech have taken their weapon to fight against the Romans. Thousands of men against 100s of Roman army. Did Ferox plan worked? Who is behind Stallion? Did Tincommius who had collected vast amount of weapons sided with Rome or Stallion? all of these questions are answered in last chapter. 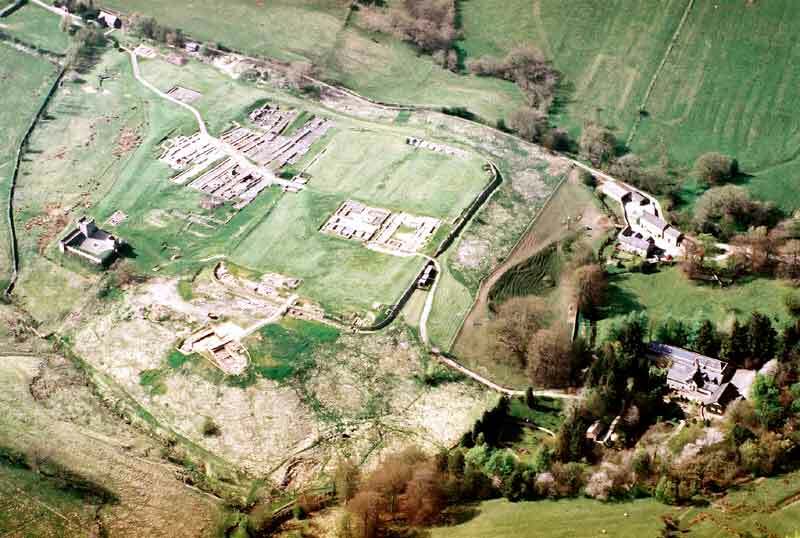 The author has mentioned that he took more freedom and did his best to reconstruct the story for the purposes in a way that the story never conflicts with any hard evidence found in the excavation of Vindolanda. Adrian has given a detailed account of the equipments of the Roman army, its organisation, its command structures, the tactics it employed, the ranks and routines involved. All these days while reading the book I was with Ferox and Vindex traveling through the mountains of northern frontier of Britannia, the description of the land, the weather, the people and their customs made me feel as I was transported back to 1st century AD. With vivid description of battle scenes like men yelling, swords striking the mail armour, hacking and stabbing, shields pounding on shields, sounds of swords striking over the flesh and bone, I felt I was actually taking part in the battle and looking at the horrors. I think the author narration has filled around 50 or so pages on the battle alone. Those who like Roman history and historical fiction should never miss this book. Do not waste rage. Nurture it, cherish it and use the strength it gives. Hot anger gets a man killed. Cold anger will put the other man in the earth. Augustus described, fighting a needless war is like a man fishing with a golden hook, where no possible gain justified the risk. A prophet cannot survive when his miracle fails. you are always fond of history or obsessed is the right word. Yes obsessed is right word.